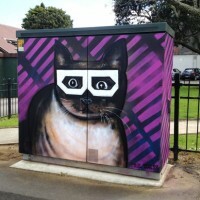 Anyway, after all that, Chorus – the company that operates NZ’s phone network – got in touch with me via the newspaper, and asked if I’d like to paint some of their DSL Cabinets – big green boxes that sit on hundreds of suburban streets across the country. They couldn’t pay me, though (or else they’d have to sign off the artworks, and it would get complicated and boring). So I turned to the public for funding. And.. wow! 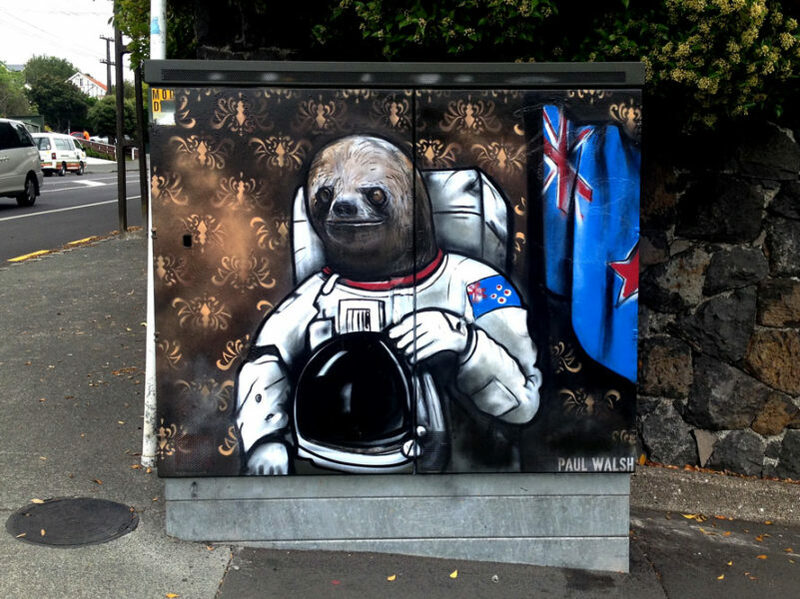 The public are awesome. I ran a campaign on Pledgeme asking for $350, and got a total of $1300! So now I am able to take time off my day job and go paint some cool things around Auckland. I’ve done the first three, and am hoping to do about another 10 – 15 over the next year or so… and it’s going to be SO MUCH FUN. Thanks to all those who pledged, and the entire Pledgeme crew; and I hope you enjoy the results!